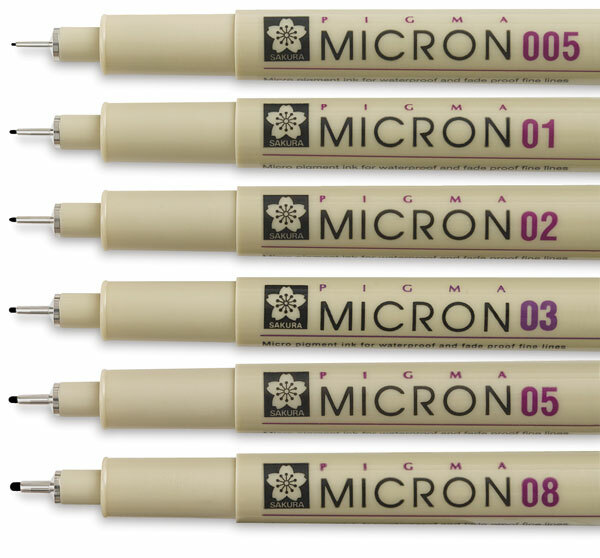 Pigma Micron pens are acid-free and archival, making them ideal for any application requiring precision and permanance. 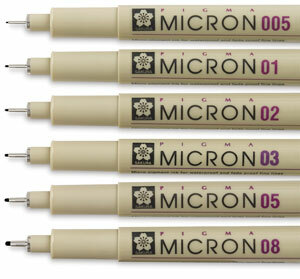 Pigma ink is derived from a single pigment to ensure color consistency, and is fadeproof against sunlight or UV light. ® Sakura is a registered trademark.